T-R PHOTO BY STEPHEN KOENIGSFELD • West Marshall’s Renae Schaper hurls the shot put during one of her throws Thursday at the Class 2A state track and field meet at Drake Stadium in Des Moines. As the only freshman in the field, Schaper made the finals and placed seventh with a throw of 37 feet, 2 3/4 inches. 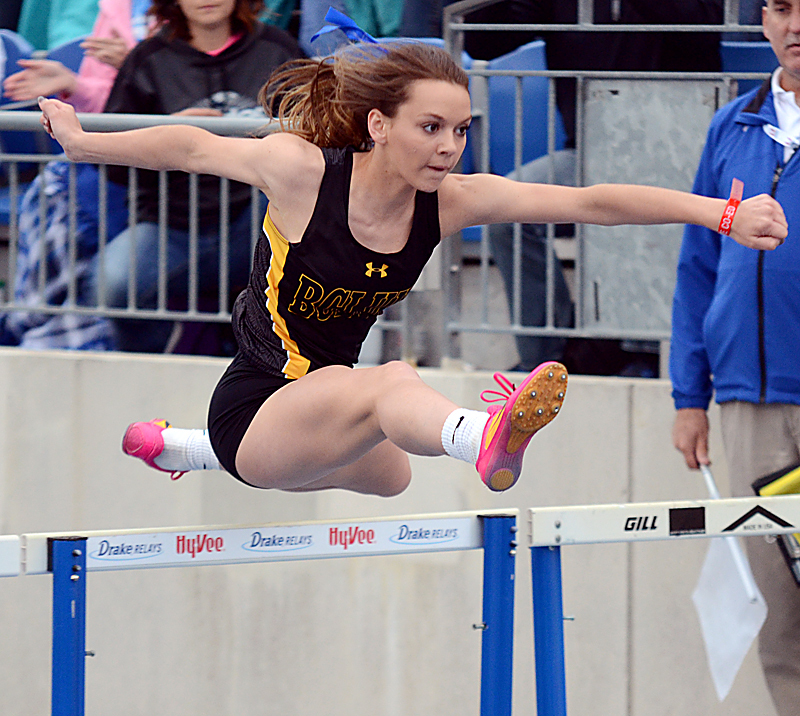 DES MOINES –The West Marshall girls’ track and field team put on display why it was a prominent force in Class 2A meets this season, Thursday at the Iowa Co-Ed State Track and Field Championships at Drake Stadium. The Trojans tallied up six points from three medalists, with another three events qualifying for the finals on Saturday. The Class 2A session started with freshman Renae Schaper making her mark on the shot put field. 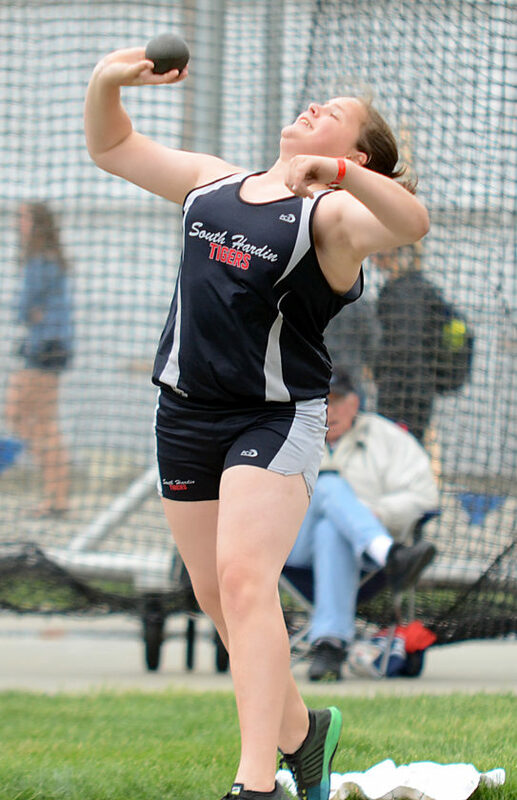 As the only ninth-grader in the field, Schaper threw 37 feet, 2 3/4 inches, to place seventh in the finals. But the hardest part for her wasn’t competing against a field of experienced throwers; it was deciding who would be giving her the finals medal. Schaper said her age in the field didn’t bother her much, as she touted confidence and a little bit of hope into the finals. Schaper grinned at her friends when they read the first finalist’s name, and knew she had a better throw than her, securing a spot for three more throws. Her two points helped set in motion five more events for the Trojans, seeing Allison Hilleman qualify for the finals Saturday in the 200-meter dash (seeded second, 25.83) and the 100 (sixth, 12.72). Kayla Cripps took sixth in the 400, running a 1:00.16. 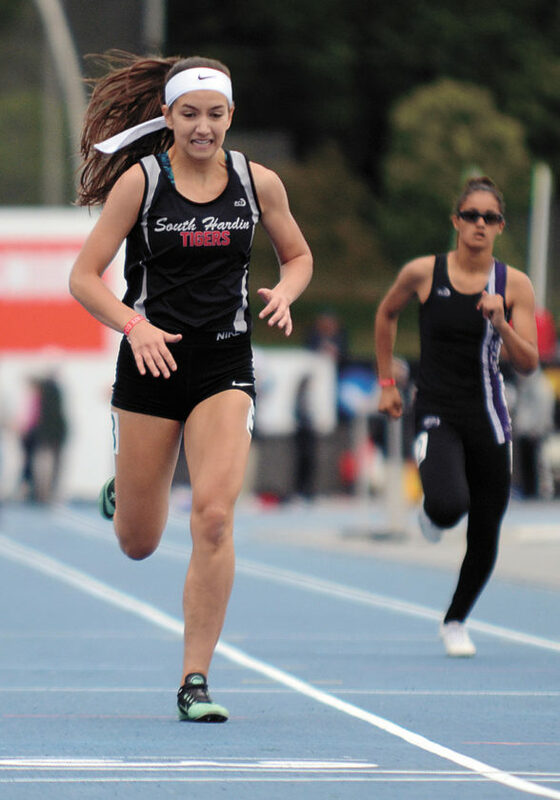 She said she was a little disappointed not to be under the minute-mark like she was last year, but recognized she’s getting older and going through some growing pains that aren’t quite allowing her to reach that top speed she had at the state meet last year. Cripps still has the 4×200, 4×400 and sprint medley to run this weekend. 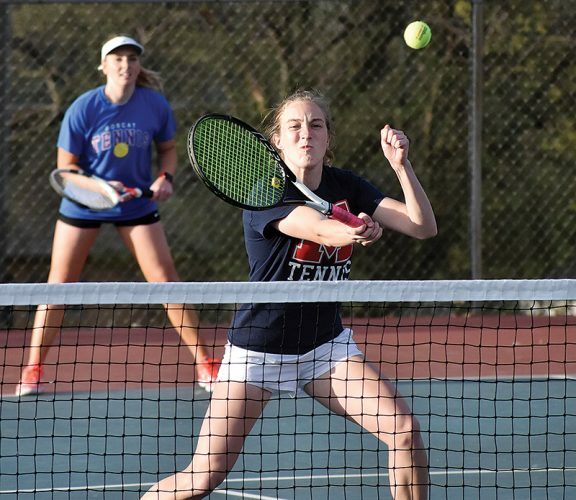 She said she would much rather run in the relay events because of the requirement of teamwork and camaraderie, rather than having the focus and pressure solely on her. The Trojans’ 4×800 relay of Avril Sinning, Grace Girard, Georgia Porter and Shannon Breja took eighth in a time of 9:54.57. Porter, one of two seniors in addition to Breja, said the relay’s success has been manufactured off the track as much it has on the track. The West Marshall girls’ shuttle hurdle relay team capped the night with a sixth-place qualifying time of 1:09.20. It will run in Saturday’s finals at 11:50 a.m.
South Hardin put through two state qualifiers in Brylie Zeisneiss in the shot put and Emma Gourley in the 400. 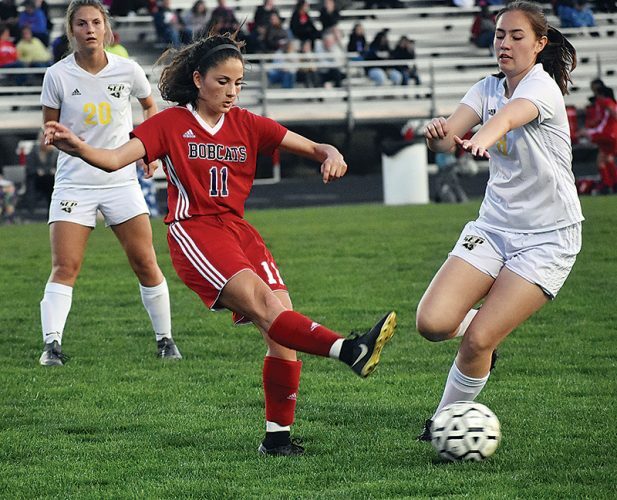 Zeisneiss said her goal coming in was to make the finals and come away with a medal. She had no problem doing so. Zeisneiss was fifth heading into the final three throws, but manufactured a 39-5 3/4 and moved up to fourth. Zeisneiss has the discus left, going at 9 a.m. this morning. Gourley ended up 16th in the 400, running a 1:02.65, as she won her heat of the event. She ended up just beating her qualifying time of 1:02.92. East Marshall’s Melinda Puumala saw long jump action Thursday. She went for 15-9 3/4 which was good enough to earn her 15th place. BCLUW’s shuttle hurdle team of Olivia Hughes, Samantha Ubben, Payton Pekarek and Jenna Willett took 18th in a time of 1:11.22. It was not quick enough to qualify for Saturday’s finals. 2A — 1. Mid-Prairie 26, 2. Sioux Center 11, 3. Davis County, Monticello, Alta/Aurelia, North Fayette Valley 10, 7. Pocahontas Area 9, 8. North Cedar, Sheldon 8, 10. Unity Christian 7; 11. West Marshall 6; 16. South Hardin 5.